A Touch of Sparkle is a handwoven rug with a minimalist geometric pattern on a neutral background and accents of Lurex thread which catch the light to create a subtle sparkling effect. A Touch of Sparkle is a handwoven rug crafted by highly skilled artisans in India using traditional weaving methods. 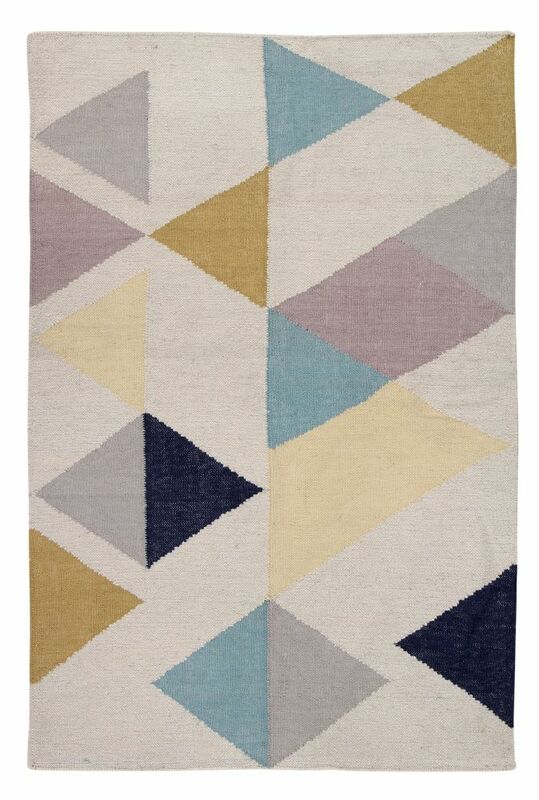 The minimalist geometric pattern on a neutral background make this rug a versatile piece to update your space. Accents of Lurex thread run through the design catching the light to create a subtle sparkling effect. Ana & Noush creates outstanding minimalist, handwoven rugs, impeccably crafted by talented artisans pairing traditional expertise with cutting edge, contemporary and functional designs, using only the finest yarns and natural fibres. Our Collection 2018 speaks of the narratives, memories and textures gathered on our travels, distilled in our London studio into unique and contemporary pieces based on a minimalist ethos. London-based Ana & Noush produces an inspiring selection of simple and sophisticated handcrafted rugs and soft furnishings with minimalist elegance in contemporary, distinctive patterns for grown-ups and little ones, using only the finest yarns and natural fibres.